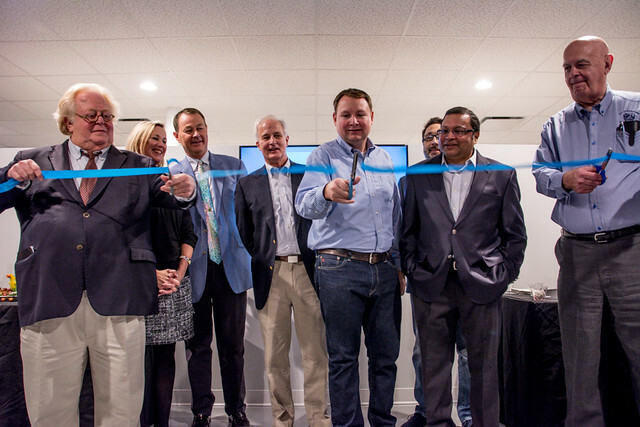 The Beaufort Digital Corridor nurtures and promotes technology entrepreneurs. Our BASEcamp facility - located in downtown Beaufort - provides scalable office space for tech startups and coworking desks for remote workers. BDC offers networking opportunities, continuing education, and member-driven programs to help grow the tech economy in the Lowcountry. Tech Business Directory, Job & Talent Listings, LiveWorkMentor, CODEcamp, Game On! Do you see the role of technology increasing in Beaufort for 2019? From college students to recent retirees, the Beaufort Digital Corridor has attracted a variety of skills to the Lowcountry in its first two years. Modeled after a similar program in Charleston, the Beaufort Digital Corridor helps facilitate development and growth for companies hoping to profit off of South Carolina's $11 billion tech industry. The program is part of an effort by the city of Beaufort to address a growing concern: Many of the jobs available in Beaufort County are low-wage positions in the service sector –- and they often don't pay enough to keep pace with the rising cost of housing in the area. Officials with the Beaufort Digital Corridor hope the old adage "If you build it, they will come" holds true for the tech industry. Headquartered in a former Bank of America branch building, the group offers meeting space, co-working spaces and incubator space. Members work with each other to mentor, problem solve and assist on projects and business plans. "It took an effective team of people working very hard to make this happen," said Kevin Klingler, Beaufort Digital Corridor board chairman. In the past year, four tenants have started work in the BASEcamp incubator, and several new members have joined. In addition, College of Charleston students spent part of the summer in the ImpactX internship program working on a company business plan for PollPit LLC, a "digital town hall" application. The tech industry is only one path officials are looking at to attract young people to the area. Klingler and others at the BDC are not looking for a Google or Amazon; instead, they are hoping to see companies grow organically from local entrepreneurs, said program manager Shelley Barratt. Jamie Fleming is one of those entrepreneurs. A native of Beaufort, he left for college and military service and then wanted to return to the area to be closer to family. "I had come back to start to settle down, to really kind of build my life and build my family. When I returned, I ended up meeting my wife. I always thought Beaufort was a great place to raise a family," he said. Fleming started dabbling in web design and ended up starting his own company, 1212 Designs, which now operates out of the Beaufort Digital Corridor. The corridor group also has been able to connect him with new clients and provided a good space for work, collaboration and mentorship. "I definitely think one of the great things the BDC has been able to do is to bring creatives and tech people together, and it's created a safe space for relationship-building, personal and professional," Fleming said. Other companies in the corridor include WaveSciences, a company that is working to commercialize audio technology previously developed for other purposes. The Beaufort Digital Corridor also hosts coding classes, networking events and "Catch Me at the Corridor" events for young students to meet technology entrepreneurs. Klingler said the BDC and the Don Ryan Center for Innovation in Bluffton have been discussing how they can best partner to attract more technology entrepreneurs to the area. In addition, both are looking at the potential of recent graduates from the University of South Carolina Beaufort. Just as Charleston saw the opportunity to woo young professionals involved in technology, Beaufort sees the same types of people already living in the Lowcountry and hopes to help them succeed. Beaufort Digital Corridor *Member Highlight* today features: SNS Technologies. SNS Technologies specializes in services for complete Office Network Infrastructure to small business or personal computing support. More than just your IT Department. Trending right now: network, server, individual security to protect your data and your client data. With all the ransomeware issues, bank account online hacking, identity theft and everything that comes from a connected society and workplace everyone needs to be smart- and be protected. This is really what everyone just needs to do once to setup proper monitoring and you will sleep better at night. In its latest quarterly report, G2 Crowd named InsureSign the top e-signature software in several categories, including usability. G2 Crowd, the leading business solutions review site, pulls data from over 500,000 verified-user reviews to determine its seasonal software rankings. InsureSign has remained in the top spot since being named an industry leader in summer 2018. The Charleston-based software is the leader in overall satisfaction, with 4.9 out of 5 possible stars. Part of users' overall satisfaction comes from the software's relationship score (a customer service-related category in which InsureSign is also No. 1). A near-perfect 98% of InsureSign users report a likeliness to recommend, compared to an industry average of 92%. "Our main focus is to make life as simple as possible for our users through our easy-to-use e-signing software, dedicated customer service and innovative time-saving features," said Joe Floyd, founder and CEO of InsureSign. "The outpouring of positive feedback from our users on G2 Crowd shows our company is excelling in those arenas, and we plan to continue finding new ways to better provide for our customers." All of InsureSign's users enjoy a suite of features that ensure their documents get signed in the easiest way possible, from unlimited signatures to auto archival and much more. Beaufort Digital Corridor *Member Highlight* today features Southern Sentry. Southern Sentry is a systems integrator that provides security, fire & life safety protection systems. This includes alarm, video surveillance, access control and integrated automation systems. Familiar with the community's needs and on top of local ordinances and codes, owner David Roos has let us know they are well-versed in the integration of the internet of things (IOT) devices. Southern Sentry has provided home and business security locally for over fifteen years. "We go that extra step for our neighbors – just like anyone in this community would." Registration open now for the eight-week CODEcamp - Intro to Web Development course, Saturdays from 10:00am-1:00pm from March 23 to May 11, 2019. Read more HERE about our third offering of CODEcamp and how BASEcamp is now a partner site for SC Codes. This is a BYOL (bring your own laptop) event! May 10th Fridays @ the Corridor is our alternating 'Find Us' Friday- where the public is invited to come find out more about our members who also may attend. See if we can match you up with a particular member's service. If there's something techie you've been itching to ask, come on in and let's see if we can help! Learn more and register HERE. For "office hours" it's a suggested donation if you come in and join us for lunch and we'll extend the time to 2pm. Contact us if you are interested in sponsoring lunch for this Fridays @ the Corridor.